Everyone deserves to drive with confidence. 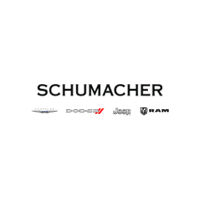 That’s why at Schumacher Chrysler Dodge Jeep Ram of Delray, we provide a certified pre-owned (CPO) program that puts the customer first. What does this program entail? Quality cars at affordable prices. No matter which car you choose, you can rest easy knowing every CPO car in our inventory passed a 125-point inspection and was reconditioned using authentic Mopar® parts. Explore our certified used cars for sale online. For more information, contact us online or call us at (844) 558-2448. When you’re ready to see the cars in person, visit our dealership: 2102 S Federal Hwy, Suite A in Delray Beach, Florida. * From the original warranty start date. ** Runs from the date of sale of the car or at the expiration of the 3/36 Basic Warranty.